While Winifred Watts Hemphill was growing up in Durham, North Carolina, dinner discussions often revolved around funerals. Her grandmother, who lived with her family, had the Atlanta Constitution delivered to Durham. After all, she needed to check on business at South-View Cemetery, one of the nation’s oldest black cemeteries. “She’d come to the dinner table and say, ‘Well, Albert had a busy week. He had six burials,’” Hemphill says, breaking out in laughter. Albert H. Watts—her grandmother’s son and Hemphill’s uncle—helped manage South-View just as his father and grandfather had before him. The kids at the dinner table groaned when their grandmother read the obituaries, but the family had long felt proud of South-View. Former NBA player Walt Bellamy, a South-View board member who died in 2013, is buried at the cemetery. 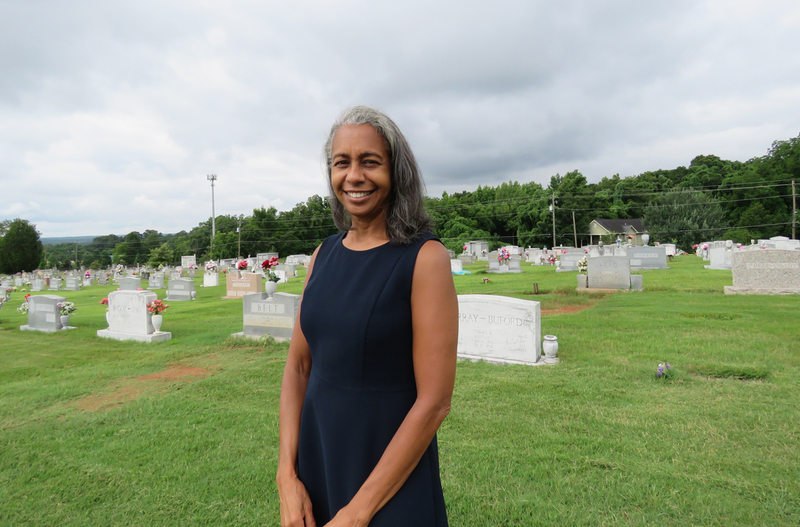 Today, Hemphill serves as president of South-View Cemetery Association, running the historic South Atlanta cemetery of 80,000 and helping bury 400 people every year. 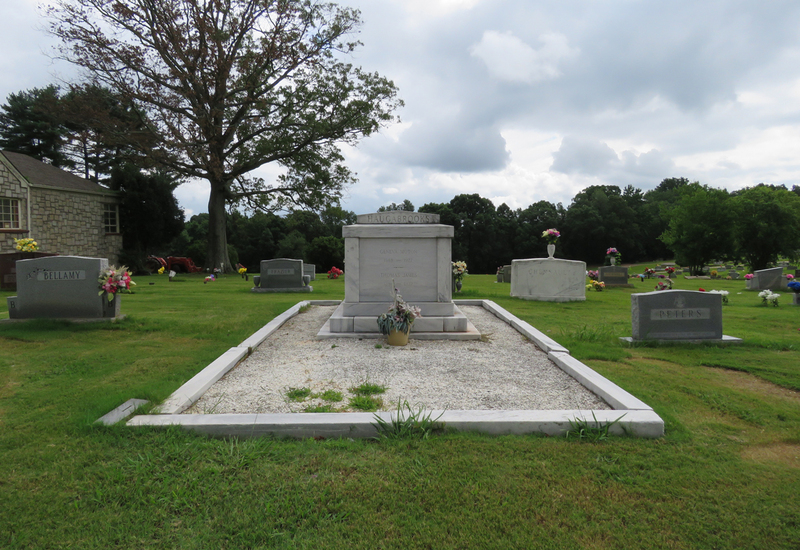 South-View’s history is intertwined with city’s, and it’s the final resting place for many prominent black Atlantans. 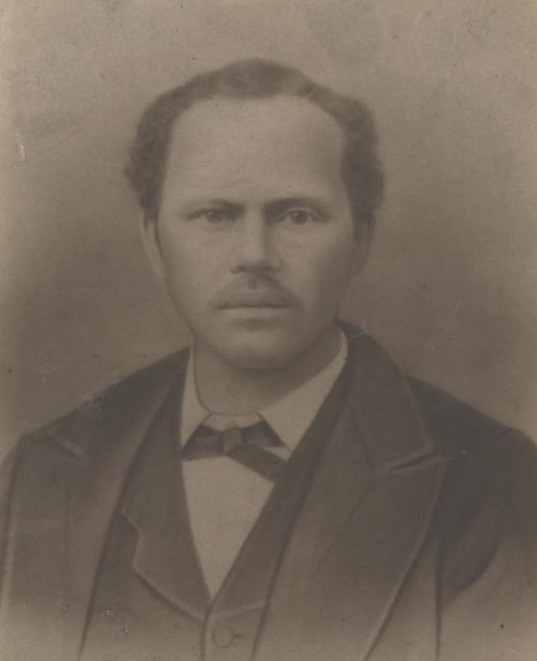 Hemphill’s great-grandfather, Albert Watts, who was born into slavery in Athens, met with five other black men in the basement of Atlanta’s Friendship Baptist Church sometime around 1885 to solve the issue of a lack of a proper burial site for the community. The men approached the owners of a local cemetery—a name lost to time, though the family speculates it might have been Oakland or Westview—and asked if black people could be allowed to enter through the front gate and not be buried in swamps. The answer was no. The men were told that if they had all these demands, they needed to open their own cemetery. So that’s exactly what they did. 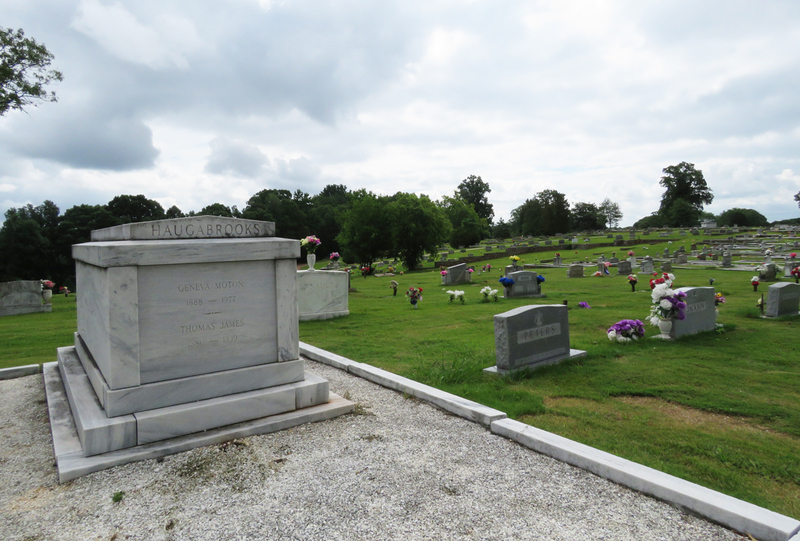 In 1886, the same year Coca-Cola was invented, South-View Cemetery was founded. The cemetery’s original 25 acres have since grown to 100, and although it has always welcomed people of any race, it is 95 percent black, Hemphill says. “If you know your history, you understand your roots, and I’m over here because of my history,” she says. 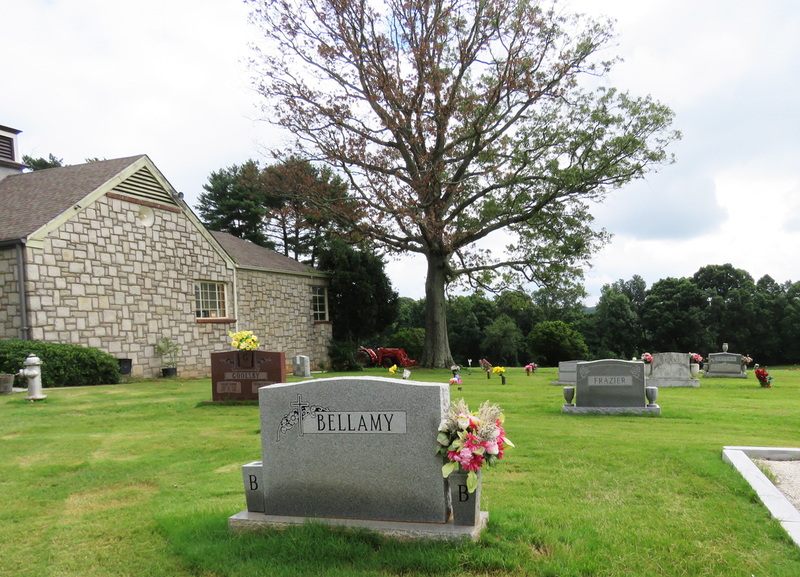 South-View is the burial place for Hemphill’s great-grandparents; grandparents; her Uncle Albert, who managed the cemetery; and her grandmother, who read the Atlanta Constitution obituaries at the dinner table. Hemphill, too, will also someday be buried at South-View. Hemphill never imagined that she would be running the cemetery her great-grandfather founded. As a child, she often visited Atlanta. The family drove from Durham every June to take her grandmother to see Uncle Albert, then drove again to pick up her grandmother at the end of the summer before school started. Hemphill attended Howard University for her undergraduate and law degrees. After graduating, she worked as an assistant state’s attorney in Chicago, where she met her husband, and then moved to Atlanta. After all those years, Uncle Albert still ran South-View. Hemphill sometimes helped with minor legal issues involving rental houses and vacant properties that South-View owned adjacent to the cemetery. She eventually joined the cemetery’s board. After her uncle died in 2001, Hemphill says, a granddaughter he had trained became board president, but she later decided she no longer wanted the job. This led to a pivotal conversation between Hemphill and her father in 2003. “My dad called me from what ended up being his deathbed and said, ‘Get up to the cemetery. We can’t let it go down. My grandparents are buried there. We have an obligation,’” Hemphill recalls. Her initial hesitance melted away, and Hemphill started working at South-View part-time. She became president in 2004, the same year her father died. She says her prior training fit perfectly for the job: an undergraduate degree in economics and work in administrative law. The South-View office has four full-time employees, plus two part-time ones. The outside maintenance crew reaches 10 people in the summer and six in the winter. Hemphill’s cousin, Katrina Watts Addie, serves as office manager and has worked at South-View for 30 years; she trained Hemphill in the ways of the cemetery. Hemphill’s day-to-day includes making sure the grounds stay maintained, organizing funeral services, and meeting with families. “When people are at their lowest, when they’ve had a loss, it’s important to have a group of people who are very caring, and that’s the main focus of the cemetery,” she says. Hemphill loves telling stories. As she walks through the cemetery, bending down to pull a few grass blades starting to grow over the headstones, she recalls the histories of many she passes. Geneva Morton Haugabrooks was the founder and owner of Haugabrooks Funeral Home on Auburn Avenue, which still operates today. There’s Walt Bellamy, a former NBA player and board member of South-View who Hemphill knew until he died in 2013. Geneva Morton Haugabrooks, founder and owner of Haugabrooks Funeral Home on Auburn Avenue, is buried at South-View. Two members of the Guest family, who performed as the Pips with Gladys Knight, aren’t buried far from the parents of Martin Luther King Jr. Christine King Farris, King’s 90-year-old sister, still brings flowers to her parents’ graves, Hemphill says. Not far from the tidy South-View office where Hemphill works lies John Wesley Dobbs, a civic and political leader known as the unofficial mayor of Sweet Auburn. Dobbs advocated for black suffrage, and fittingly, his grandson, Maynard Jackson, became Atlanta’s first black mayor. The Dobbs gravesite reminds Hemphill of her ties to the family and South-View. One of Dobbs’s daughters was her Girl Scout Brownie leader in Durham. Another one of his daughters, Mattiwilda Dobbs Janzon, worked as an opera singer and became the first black woman to be offered a long-term contract by the Metropolitan Opera. Janzon is buried in South-View. South-View also provides a home for those who paved the way for the civil rights movement of the 1950s and 60s, including Henry McNeal Turner, a Reconstruction-era state legislator and African Methodist Episcopal Church bishop and organizer. It’s important to remember Turner and the many like him at South-View who fought for change in their lifetimes, Hemphill says, and she’s happy to continue her family’s work in bearing this task.